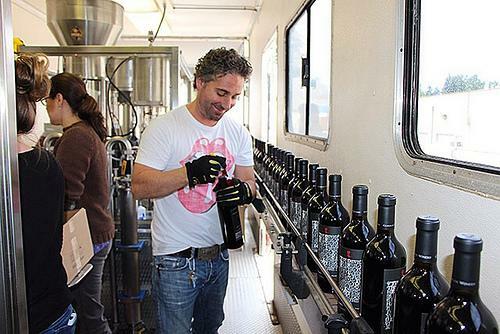 Chris Gorman descended into the wine business after graduating from university in 1991. Apparently too affected to climb out, he made the best of it. Cutting his teeth on world class Barolo and Barbaresco, he spent 3 years working for a small Italian importer and never looked back. For the next decade, as a main stay in the Seattle wine trade, Chris was lucky to represent some of the finest wines in the world. He traveled extensively in the wine areas of Italy, Spain and Germany. His is a simple philosophy: to make wine, it is imperative to understand it. Those early years found him producing small batch wines, using "stolen fruit" from many of Washington's best vineyards. In 2002, Gorman Winery went commercial. Since 2002 the mission was very clear. Make delicious wines. Choose the finest grapes in Washington state, use the finest coopers and suppliers, don't settle, and don't screw it up. We have no employees and better yet no Board of Directors. All decision making is very simple. We are currently a three-man winery, with the occasional use of volunteer help for harvest, bottling and partying. Wine Spectator 90"Lithe, sleek and expressive, centering on blackberry and currant fruit that's shaded with peppery, spicy, earthy overtones. Finishes with finesse and focus. Cabernet Sauvignon, Petite Sirah, Petit Verdot and Merlot. Best from 2015 through 2019."